Officially founded by the decree of the Senate of the Republic of Venice in 1346, the Ospedale della Pietà arose based on the initiative of the Franciscan friar Petruccio d’Assisi who, around 1335, decided to intervene on the widespread phenomenon of the treatment of illegitimate children, who were often left to die from starvation or hastily drowned in the canals. Not having independent economic resources, the friar incessantly paced along the Venetian calli, begging with the cry of “pietà, pietà” (“mercy, mercy”), which will forever identify the historic hospital. The Republic always supported this institution with the proceeds from penal sanctions, from the earnings from ferries, the stages of the theatres and from the “stalls” on the Rialto, as well as thanks to the generous real estate legacies of nobles and ordinary citizens. La Pietà is part of the cultural heritage of the city of Venice, as well as bearing witness to the social changes that have occurred over the centuries with regards to children, continuously working in favour of the protection of the youth and updating their mission with the evolution of culture and society. Today, the Istituto Provinciale per l’Infanzia “Santa Maria della Pietà” is a non-economic body that pursues the secular mission of providing assistance to minors and mothers in difficulty, opening up to multi-ethnic and intercultural refuge. In addition to the main community mission, the Institute aims to promote its historical and artistic heritage, so as to render it accessible to the public and to recuperate the ancient union that linked community and cultural activities in the past. The Istituto Provinciale per l’Infanzia “Santa Maria della Pietà” intends to enhance its multifaceted cultural heritage through the museum pathway of the Chiesa della Pietà VI.VE. Vivaldi Venezia in honour of the long-lasting and fruitful association that the hospital had with the famous Venetian composer. 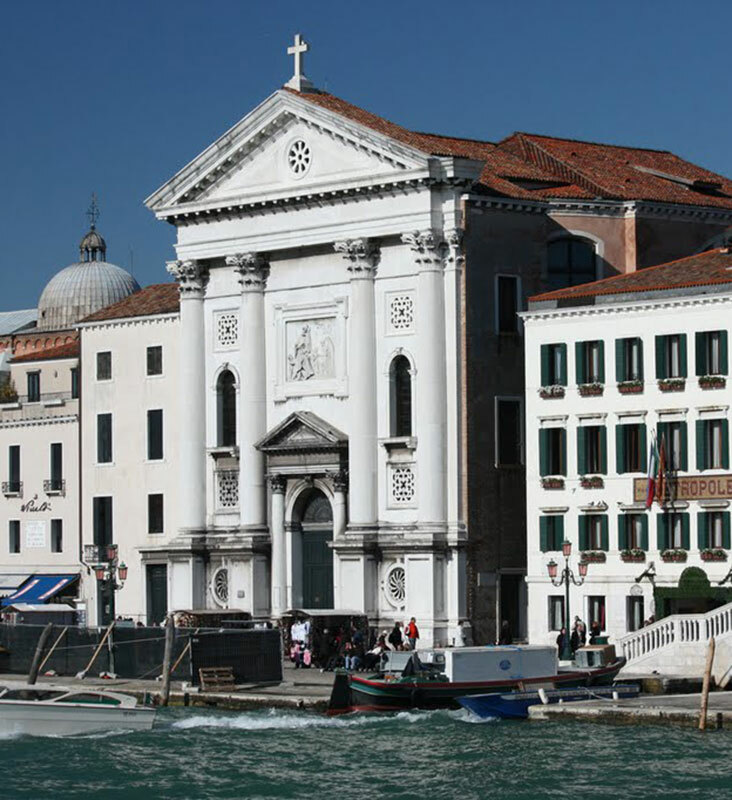 In fact, the historic Ospedale della Pietà has played an important role on the Venetian and European cultural landscape for centuries. From 1703 to 1740, Antonio Vivaldi lent his work and artistic genius within the ancient hospital, as a master of violin, choir and concerts, making the “Figlie di Choro” orchestra of the Pietà famous. The VI.VE. museum itinerary unfurls within locations that are evocative and full of charm in the choir of the Church and intends to offer visitors the opportunity to discover the precious patrimony of the Pietà, fruit of the secular union between art, music and taking care of children. The exhibition pathway traces the history of Pietà through its treasures: a rare collection of Baroque musical instruments from the era of Vivaldi, liturgical linens and vestments, sacred goldworking, but above all the emotionally-engaging testimonies of the children who received refuge, assistance and a concrete possibility of integration into society. The exhibition will be open every days from 9 a.m. to 5 p.m.